Whether there are steps up to your front door, out to your back garden, down to a garage or round to a patio, our outdoor stairlift makes the outdoor spaces you love and need accessible again. Specially, it makes your exterior stairs safe. Imagine being able to leave your house, confident in the knowledge that you’re safe accessing your home both indoors and out. 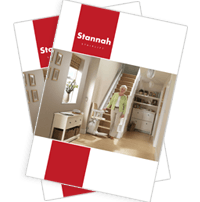 We’ve been stairlift manufacturers for over 40 years so we’ve had time to hone our skills. One product we’re particularly proud of is our robust, durable exterior chairlift for stairs.